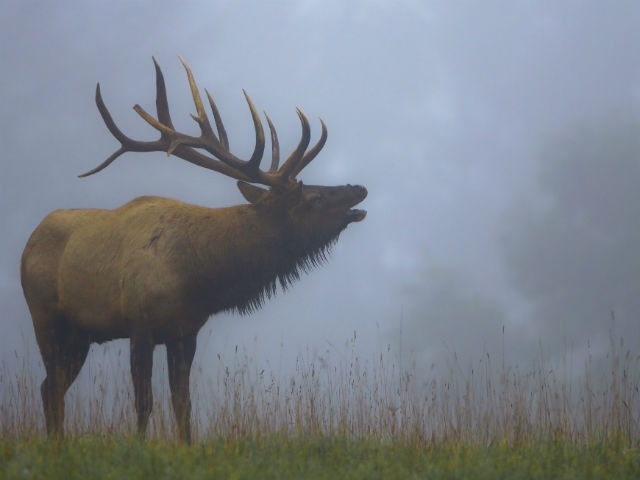 The echo of bugling bull echos through the valley. 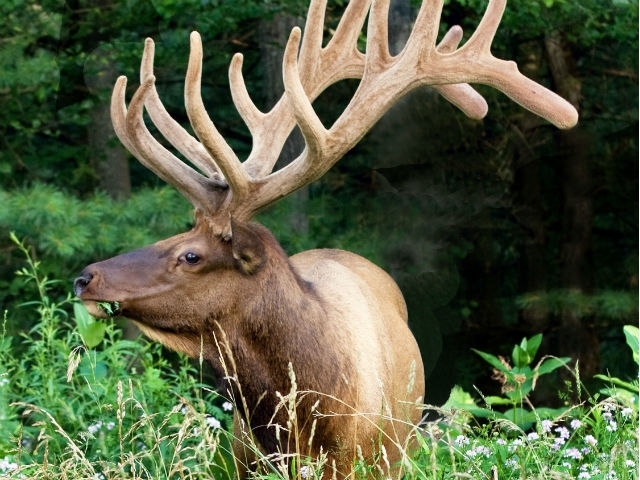 In spring and summer as a bull's antlers are growing they are covered in a soft velvet. 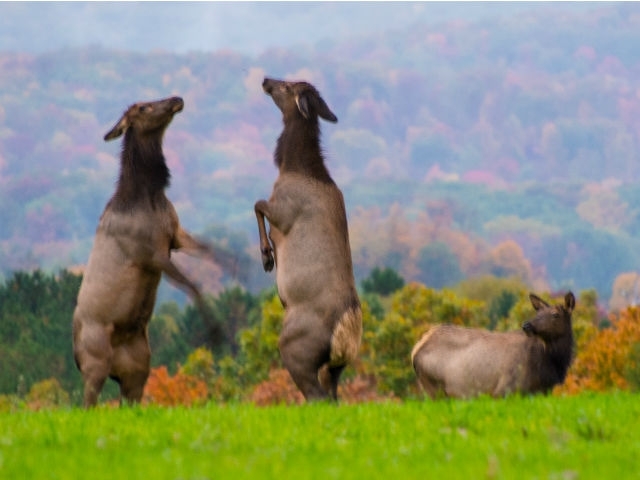 Since cows do not have antlers they use their front feet to settle disputes. 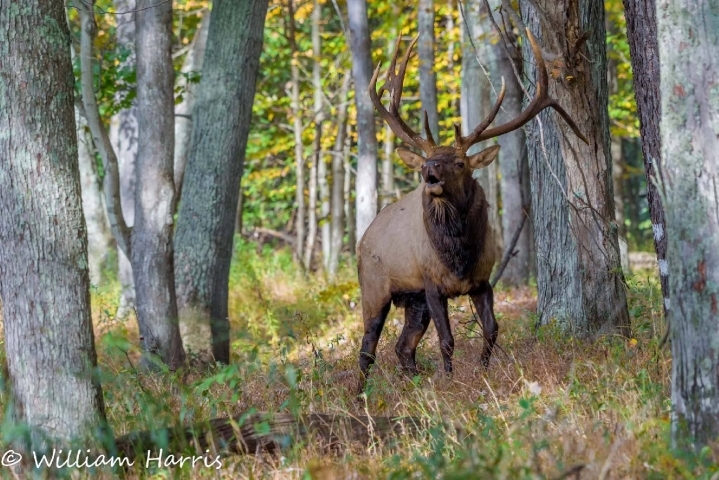 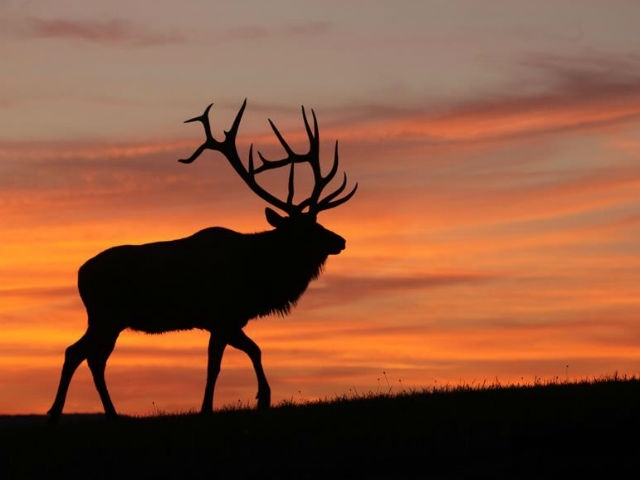 Elk are most active around dawn and dusk. 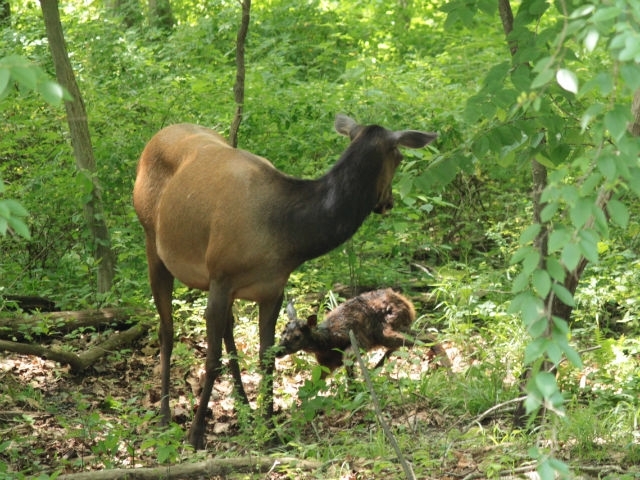 Baby elk are born during late May and early June.